Agate, a crypocrystalline quartz is often underrated! It is one of my favourite gems however, as each specimen is quite different from another. 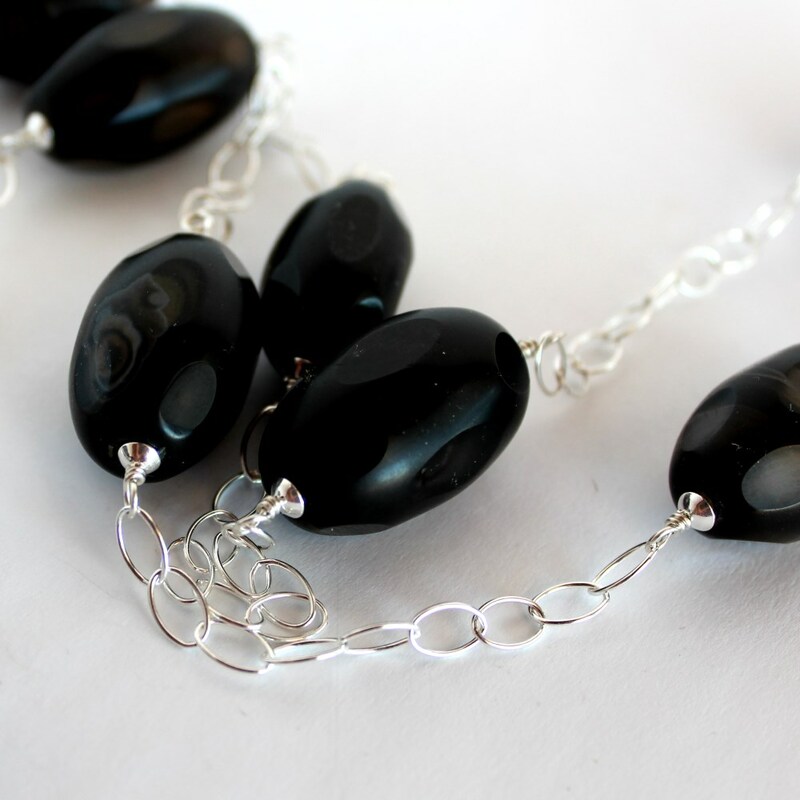 This necklace features large ovals of a dark-brownish agate (each example in the necklace varies) that has slices cut into it giving It an almost polka dot appearance. As the gems are large and weighty I have made each of them into a link with sterling silver and joined each one with sterling silver chain. The result is a casual yet stylish necklace that will easily transition from work to play.